October is Breast Cancer Awareness month. Breast cancer is the second leading cause of death among women. One in eight women will be diagnosed with breast cancer in their lifetime. 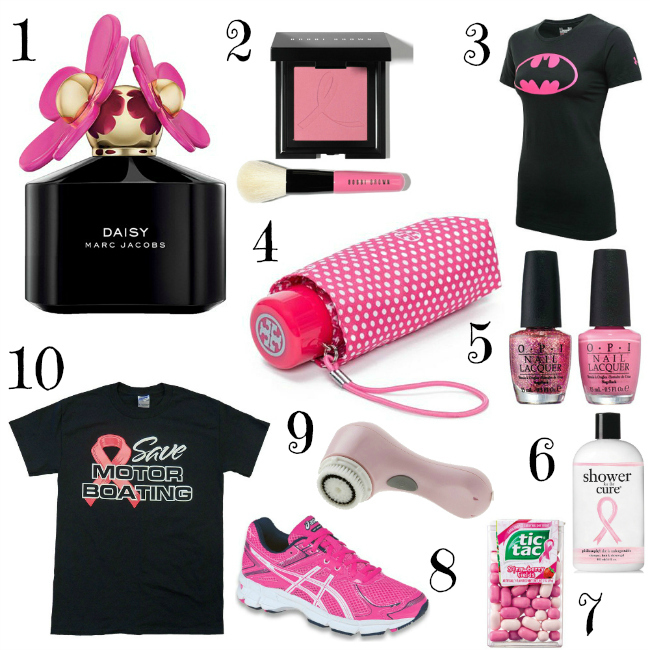 There are many ways you can help support breast cancer survivors and raise awareness. You can donate to various organizations, provide assistance to a patient in need or simply shop. Buying any of the products below will donate directly to the cause. Think pink. Shop pink. to dictate her and who she becomes." -- C. JoyBell C.
For early detection tips, click here. 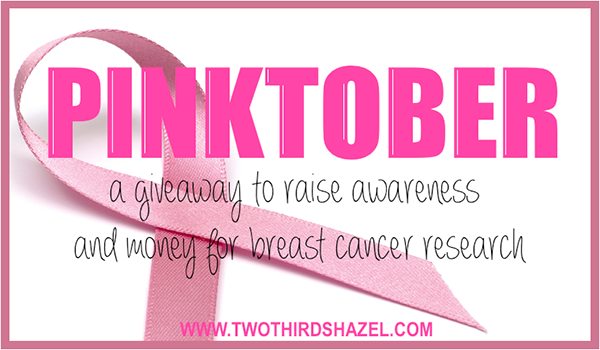 I've partnered with Two Thirds Hazel and a great group of bloggers for an amazing giveaway. I love this. So great to raise awareness! someone in my family had breast cancer. this strikes a chord in me! I did the same kind of post today and include the bath gel and sneakers! Thanks for helping raise awareness! Do you know what I could do with 300 dollars at VS? oh my goodness. This hasn't hit my family (thankfully) but I worry that one day it will. It's so awesome that you're helping un spread awareness! that batman shirt is amazing!